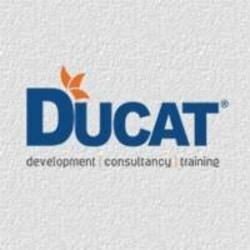 Ducat Noida offer 6 Months Industrial Training / Internship for all MCA / B.tech / BCA / B.sc IT or CS & all IT Students. It is a 100% Job Oriented Industrial Training Program. Best 6 Months Winter Training in Noida offered by DUCAT NOIDA. Registrations open for 6 Months Industrial training with live project by industry expert. For details call 9818854708. We are looking for candidates who want to make their career in information technology and would like to grab the opportunity to join the aimed and professional Java/Android/ IOS/ .Net/PHP/ Python & many other technologies... This is an opportunity to learn how to work on some creative applications development and infrastructure management. Six months industrial training program includes from basic to advance level modules designed for both students and working professionals. Eligibility - MCA / B. Tech. /B. C. A /B. E /MSC (IT & CS) /BSC (IT)/Diploma. Duration of Training: – 6 weeks, 45 Days, 60 Days, 90 Days and 120 Days, 6 months. Please feel free to contact us for any further clarifications.